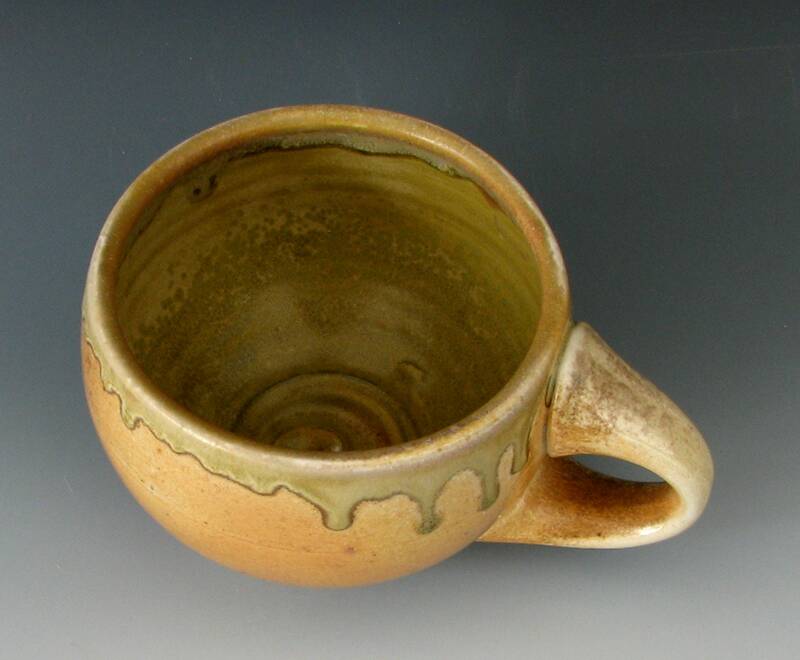 A wood-fired, stoneware cup that has been colored by fire and glazed by the wood ash in the flames. 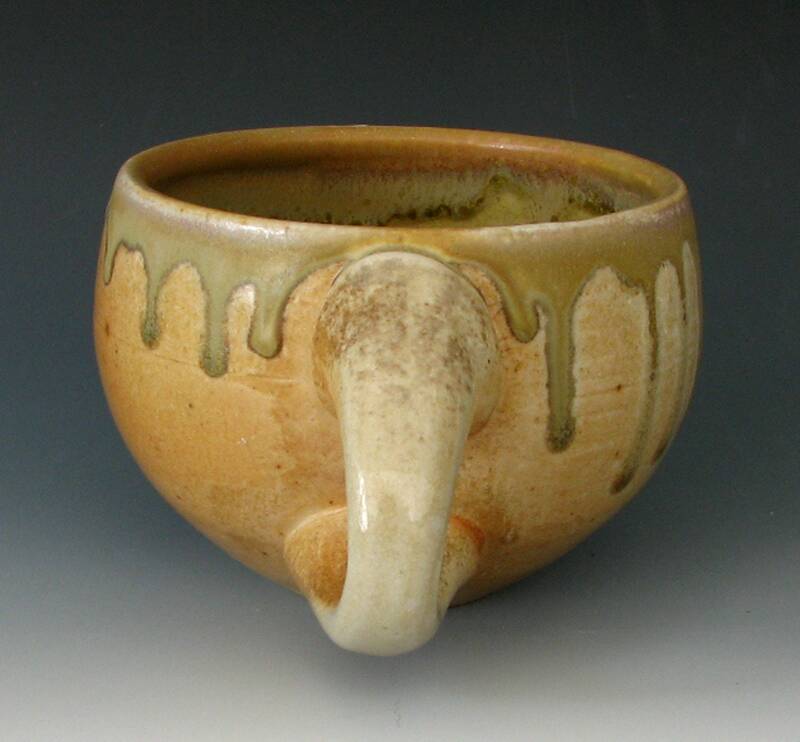 It was fired in an anagama kiln stoked with wood every few minutes non-stop for five days. 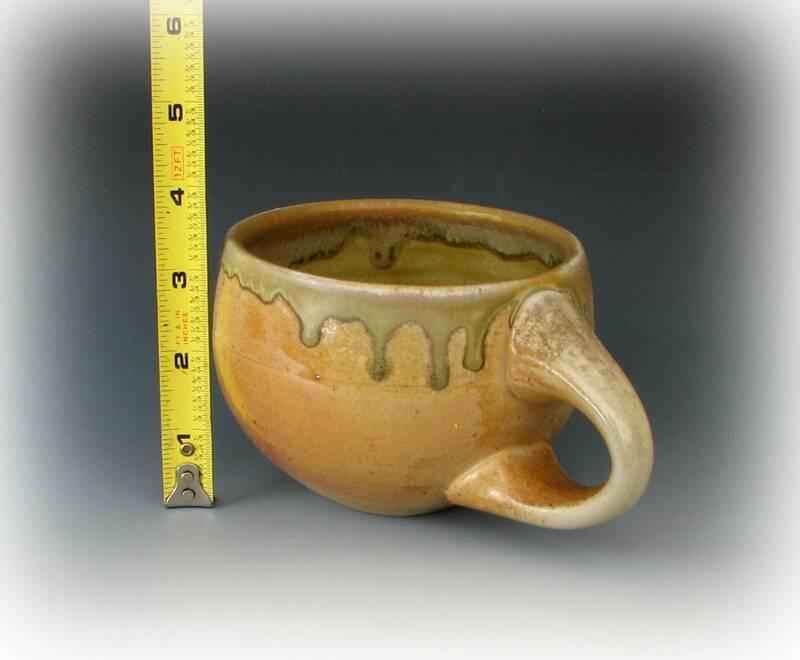 The stoneware clay used to make this shaving mug has been formulated to take the heat of a cone 13 (approx. 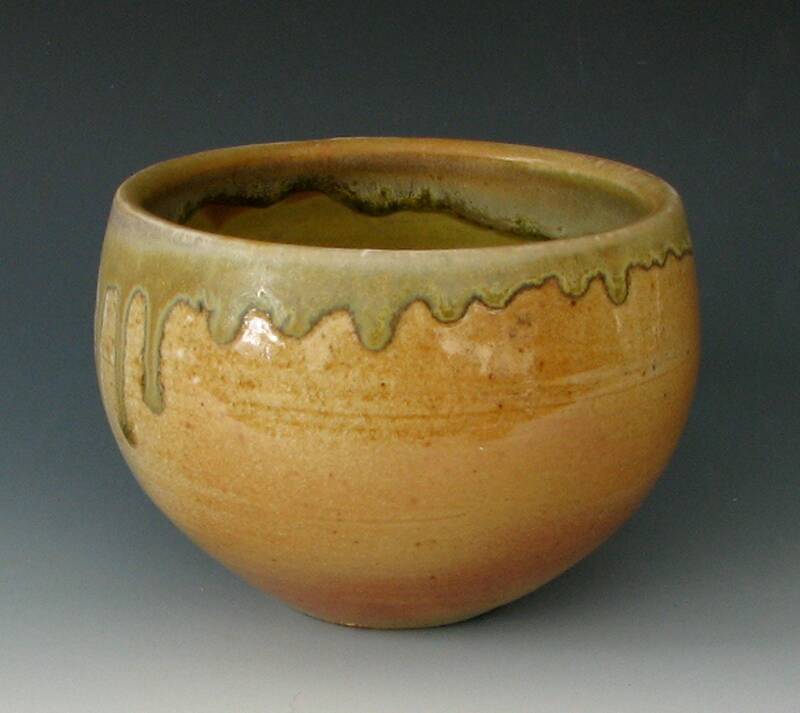 2450 degrees F.) wood-firing. 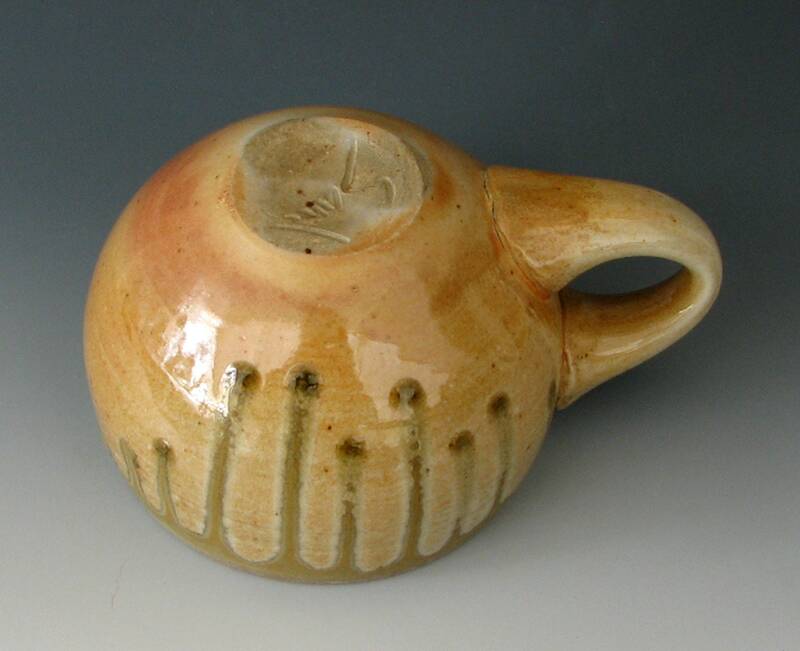 It is vitrified so it would not leak even without a glaze. 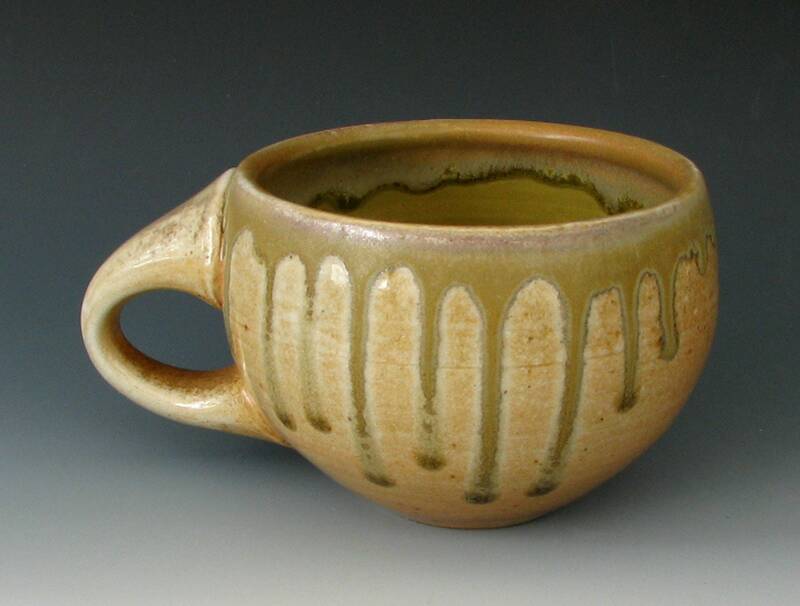 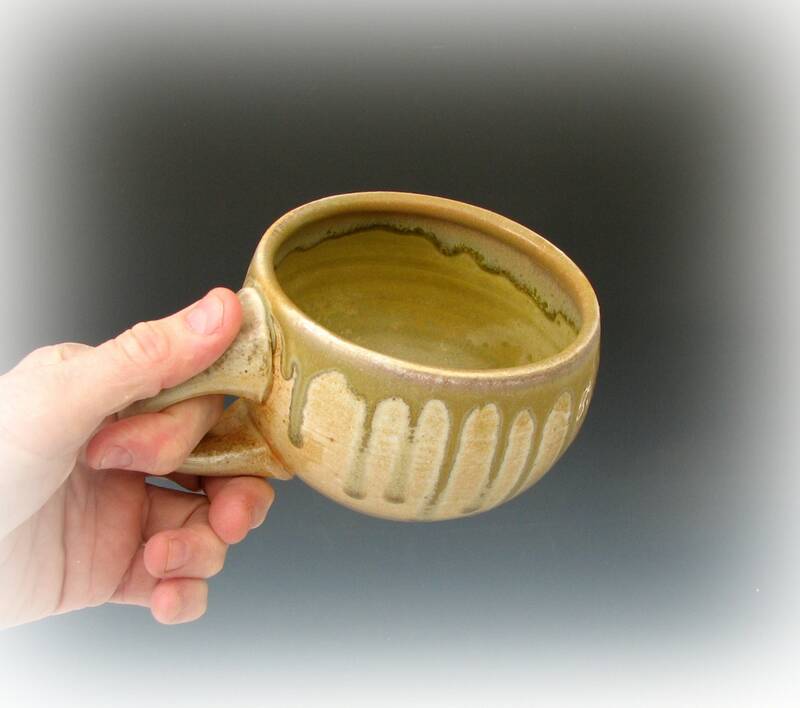 The ash glaze in the mug is a nice mottled yellow-green with lots of depth and variation. 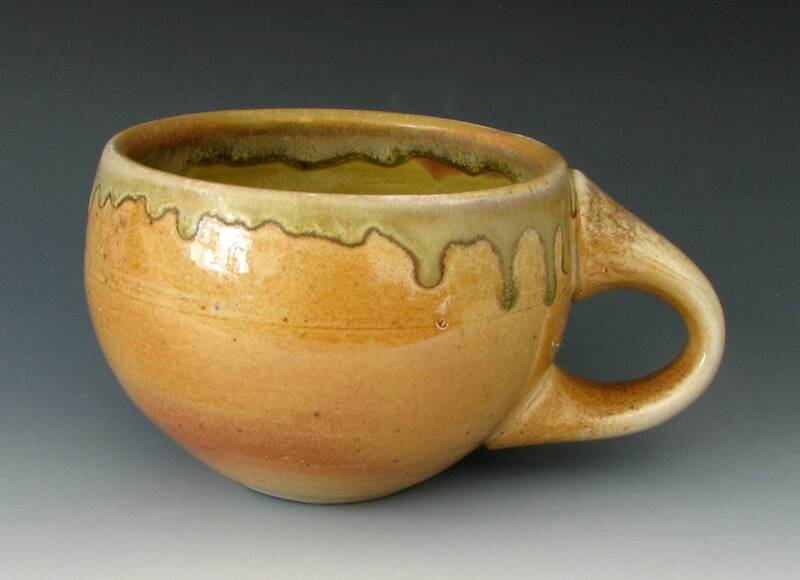 The color and glaze on the outside are from the flames and the wood-ash in the flames.